In the weeks leading up to the release of The Amazing Spider-Man 2 there was a story on a number of news sites that claimed Sony Pictures was planning to make a new Spider-Man film every year beginning in 2016. That was, of course, before the highly-anticipated sequel was panned by critics and fans alike worldwide. The film still made a couple hundred million at the box office, but nothing near what Sony had expected, and as a result it seems we may have to wait just a bit longer before Peter Parker returns to the big screen. According to a claim by AICN, which buried this tidbit in a larger post about upcoming comic book films, Sony has gotten cold feet after seeing the reaction to Amazing Spider-Man 2 and is currently considering a slight delay on releasing the series’ previously announced third entry. 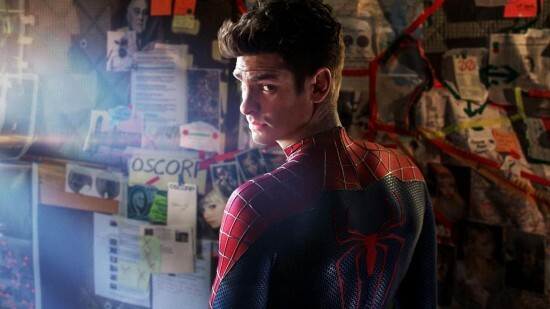 That film, which we assume would be called The Amazing Spider-Man 3, is currently slated for release on June 10, 2016, but may in fact be headed to 2017 instead. A fourth installment, which may not even happen at this point, was previously rumored to be planned for May 4, 2018. Sony has yet to confirm or deny the claims of a delay on The Amazing Spider-Man 2, but we will certainly continue to keep an eye out for additional updates. It’s unclear whether or not this development will impact the rumored plans for a Venom spinoff film, but I certainly hope that is not the case.